In a country where almost 3 million children are deprived of basic education and almost 50% of youth are unemployed, it’s more critical than ever to ensure youth have the skills they need for their best future. Today on World Youth Skills Day we’re showcasing the work we’re doing to support training and education for youth across Ethiopia. Across our global offices, we have partnered with various local organisations in Ethiopia to cover a range of education resources for youth; from basic literacy on the street, to access to formal primary or secondary school, to scholarships for university and apprenticeships. We believe everyone should have access to comprehensive education regardless of age, gender or physical condition. For homeless and parentless children, going to school is often less of a priority than finding safe shelter and food. 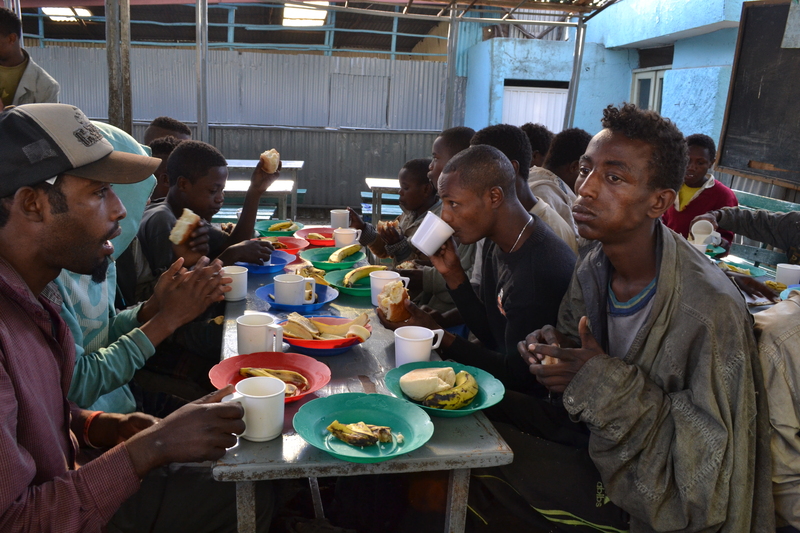 We work with different local organisations across Ethiopia who run sanctuaries or safe houses for orphaned children and survivors of violence. As well as housing, feeding and protecting these children against slavery, these sanctuaries provide access to formal and informal education. Provide all the essential school materials such as writing books, pens and textbooks so students can focus on their learning - and not how to pay for it. Enrol children living in the safe houses to local primary schools which they attend daily. Provide programs for business, craft production, communication and mathematics to students unwilling or unable to attend formal school. Help older students access higher education, vocational training or find long-term employment so they can become self-sufficient citizens. Provide mobile schools where children still living on the street can learn simple literacy and numeracy so they don’t miss out on basic education. Higher learning is often a luxury only the wealthy can afford; but even for those who can afford it, a lack of choice and quality in tertiary institutions has meant many students go abroad to study. They often do not return to Ethiopia, so valuable skills and expertise are lost. We partner with universities and vocational institutions to provide higher learning scholarships to disadvantaged students who could not otherwise afford it. Provide access to university education through scholarships at the Hope College of Business, Science & Technology – Ethiopia’s first public benefit university! Here, students can obtain diplomas in areas such as business, technology and social sciences. These are all highly employable areas in the government and private sectors, so students are able to find jobs quite easily after graduation. 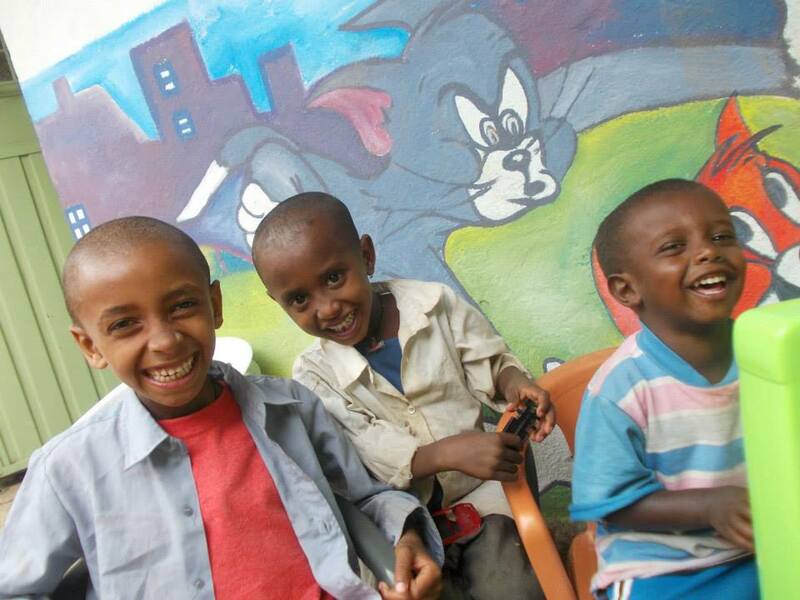 Provide access to vocational training through the Hope Enterprises’ Vocational Training Unit in Ethiopia’s capital. Students can learn practical skills in tailoring, metal work, furniture making, industrial machinery, hospitality and catering. This includes a 2-month apprenticeship to help graduates secure a permanent job upon completion. 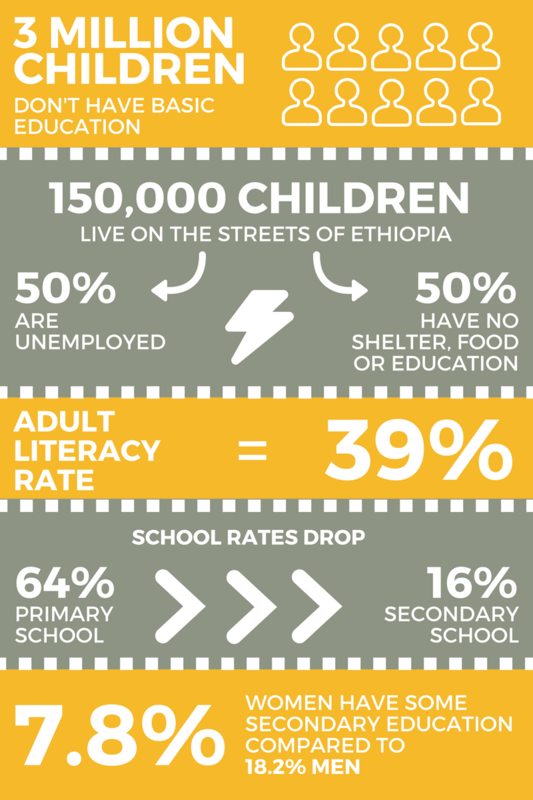 There is a stunning difference in education levels between men and women in Ethiopia. Only 7.8% of women have some secondary education compared to 18.2% of men and, for women, literacy levels drop by 16%. A large factor behind this is that girls in rural areas often miss school during menstruation due to lack of sanitary items and toilet facilities, plus widespread stigmas against menstruation. This causes them to fall behind in their studies and drop out of school at an earlier age. This is a huge waste of human potential and one we are working hard to rectify with local partnerships. Provide menstrual hygiene kits to girls in school which contain a reusable sanitary pad so girls can manage their periods discreetly, with dignity and without having to stay home from school each month. Distribute information booklets which have the facts on puberty and menstruation to help break down taboos, dispel common myths and offer a factual resource for students who often have nowhere else to turn. Build toilet facilities with adequate sources of water including female-only toilets so girls can manage their periods in a sanitary and private environment. 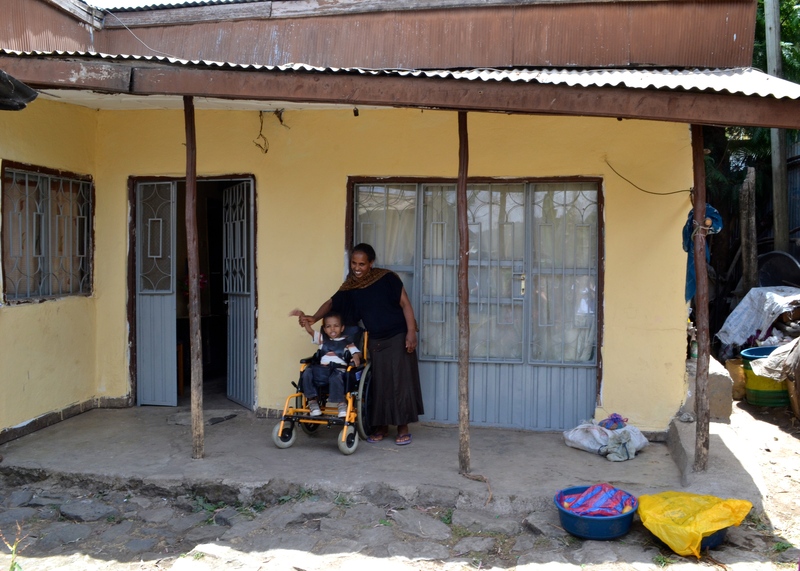 For a child living with a disability in Ethiopia, access to education is virtually impossible. Only 1% of children with special needs have access to specialised education and are often neglected by society. Through various partners such as a boarding school for the blind and a physical mobility support and rehabilitation organisation, we support youth with special needs to have the same opportunity for education as every other child. Support a boarding school for blind children (Mekelle Blind School) including funding for training in braille typewriting. Provide funding for ‘Talking Textbooks’ where volunteers read and record textbooks for use by sight impaired students. For physical mobility needs, provide walking aids, ramps and accessible toilets in schools where students have mobility issues. Cover costs for school fees, books and transport for older children with disabilities who don't have the means to support themselves, and provide funding for inclusive kindergartens where children both with and without disabilities can learn and interact together. To get involved in this work, visit our Donate page and help promote education and skills training for youth across Ethiopia!